GeoBlue Voyager Choice traveling insurance for those who are waiting for treatment will not be able to get on this travel insurance. This is one of our top travel insurance plans for Americans heading overseas for up to six months or less on a business trip or on a vacation. 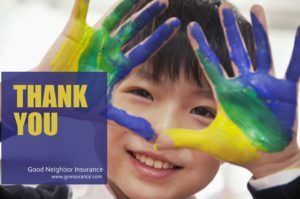 Good Neighbor Insurance has provided GeoBlue medical overseas insurance since 2002. Their travel and long term career insurance plans are one of the best in the international medical insurance marketplace. Here are three main types of GeoBlue travel and career insurance benefits we provide as essential investments to those needing medical and evacuation, as well as other travel insurance benefits, outside the U.S.
We provide their GeoBlue Navigator and Xplorer career insurance plans to expats residing outside the U.S. here at https://www.gninsurance.com/hth-geoblue-navigator-xplorer-overseas-travelers/#navigator. For those traveling over 2x overseas from the U.S. during a 12 month period our GeoBlue Trekker Choice and Essential benefits are a vital travel investment. You may view these travel insurance plans here at https://www.gninsurance.com/geoblue-trekker-choice-essential-overseas-health-coverage/. Then we have our GeoBlue Voyager Choice and Essential travel plans for those taking a single trip and need evacuation as well as medical insurance while outside the U.S. You may view their benefits here at https://www.gninsurance.com/geoblue-voyager-choice-essential-single-trip-travel-insurance/#excursion. The GeoBlue Voyager Choice plan is a great travel plan that also covers maintenance of pre-existing medical conditions as long as one is not waiting treatment or has changes – please see the brochure on our web page for all of the details, benefits, as well as limitations on pre-existing medical conditions here at https://www.gninsurance.com/geoblue-voyager-choice-essential-single-trip-travel-insurance/#excursion. GeoBlue Voyager Choice available in all 50 states and DC.